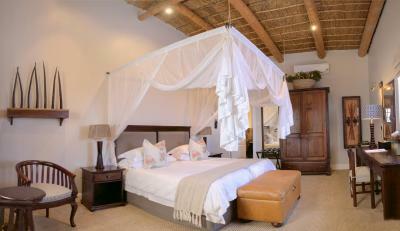 Lock in a great price for Garden Route Game Lodge – rated 9.2 by recent guests! 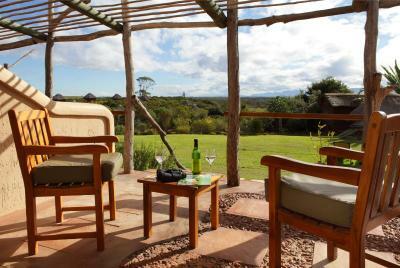 The game Lodge was in a great location along the garden route. Easy to access, very friendly staff. We had a great game driver as well, he was super knowledgeable about the animals and was very polite. 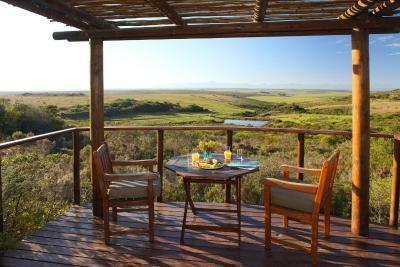 The room had an amazing view of the reserve, was able to see different animals from our balcony. Would highly recommend this place! 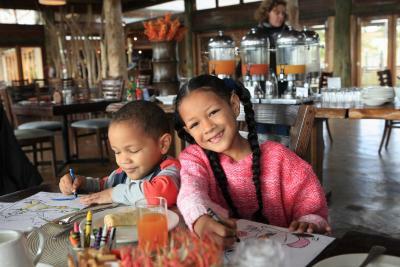 Unbelievable kids friendly, we even brought our 11 months old on two game drives. Separate kids pool, great meal choices for kids & stunning, newly renovated family suites. Amazing location, a bit off the beaten track but then again, you’re going for safari & game drives. Great reptile center and kids activity in the afternoon so allow mama and Dada some free time! The tour guide very friendly and knowledgable, the breakfast and dinner very delicious. The room very clean and the bed very comfy. 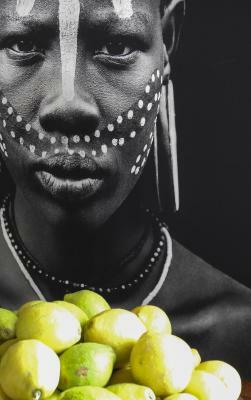 the Hotel is wonderful, the safari, the food, everything very good. I'll come back for more days. We liked everything. We couldn’t even believe the value for money. The food was fantastic, the coffee was delicious, the staff were incredible and we even met the owner who was such a gentleman. The game drive was exciting and we saw everything. And they did little touches which made it so much more memeorbale (won’t spoil it by sharing them). The decor, the burning log fires, the drivers with their immense knowledge, the food and the room - faultless. Would recommend to friends and family! Thank you all! The staff were exceptional!!! Waitstaff always friendly and greet you with a smile! The game drives were fun and you get to see the big 5! I enjoyed the safari and being able to experience all the big 5 animals up close and personal. Lodging was nice and cozy. Dinner and breakfast was a buffet style breakfast. Very enjoyable with a nice selection. 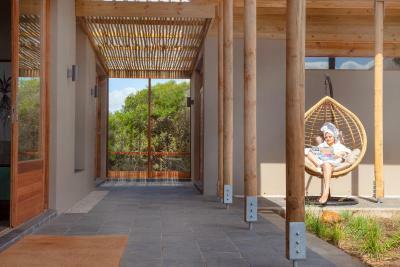 Garden Route Game Lodge This rating is a reflection of how the property compares to the industry standard when it comes to price, facilities and services available. It's based on a self-evaluation by the property. Use this rating to help choose your stay! 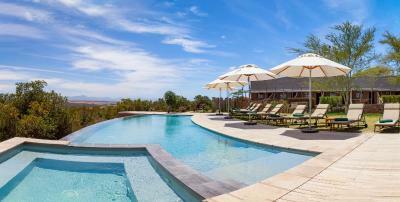 Garden Route Game Lodge is located near Albertinia, overlooking the Langeberg Mountain Range. It is surrounded by lush vegetation and various animals can often be seen. It features a pool and a restaurant. 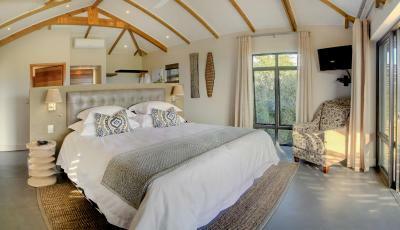 Each room and chalet at Garden Route Game Lodge offers either views of the mountains or the valley. They are elegantly decorated with thatched roofs and wooden furniture. All of them have TVs with digital channels and a safe. 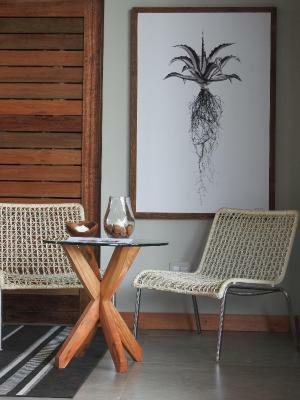 Guests have free half board treatment at the Lodge. 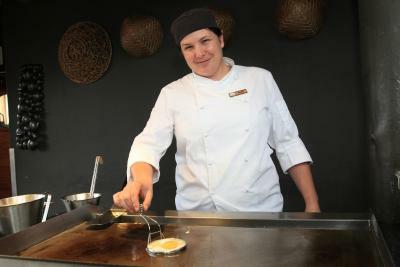 The restaurant serves characteristic African dishes and offers panoramic views of the area. The bar is a perfect spot to enjoy some drinks. 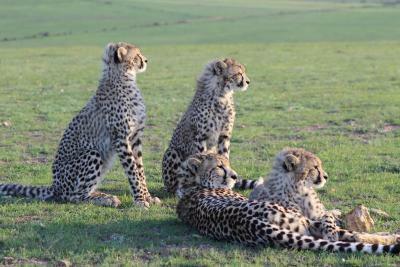 Guests can experience game viewing tours organized by the Lodge. The sun loungers by the pool allow guests to have a relaxing sun bath. Complimentary Wi-Fi is available in public areas. Albertinia is just 3.1 mi away and the nearest beaches are 21 mi away, in Gouritz. Cape Town International Airport is 205 mi away. 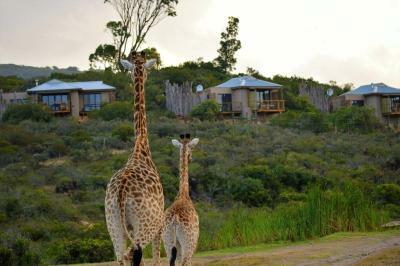 When would you like to stay at Garden Route Game Lodge? This spacious room is elegantly decorated in an African theme and features a balcony overlooking the Langeberg Mountain Range. 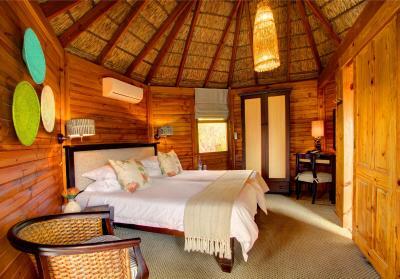 Rate includes Dinner, Bed & Breakfast, 2 Game Drives, Reptile Park visit. Please note that this room can accommodate an extra bed and charges apply. Please note that the price is based on 2 guests. Maximum occupancy is 4 guests (see Hotel Policies). The extra person rates vary according to the season and may be lower than indicated in the policies. This chalet is elegantly decorated with thatched roof and characteristic wooden furniture. It features a private deck overlooking the valley. It has a seating area with a TV and a safe. This chalet features a balcony, satellite TV and air conditioning. 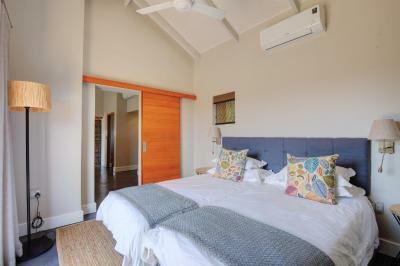 This luxuriously appointed and free standing 2-bedroom suite offers a spacious main room plus additional room with private deck overlooking the game reserve. The private bathroom features a free standing bath, double vanity, spacious shower and separate toilet. 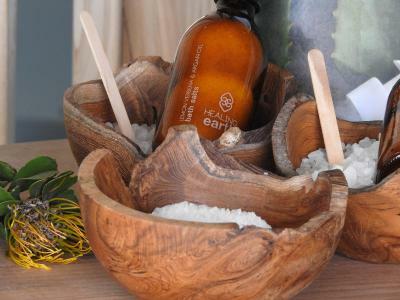 For the adventurous, there is an outside bath and shower set in the African bush. 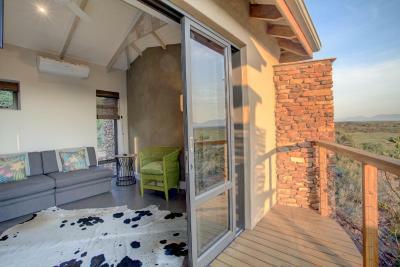 This luxuriously appointed and free standing suite offers a spacious room with private deck overlooking the game reserve. The private bathroom features a free standing bath, double vanity and separate shower. For the adventurous, there is an outside bath and shower set in the African bush. This twin/double room features a balcony, mini-bar and kitchenette. 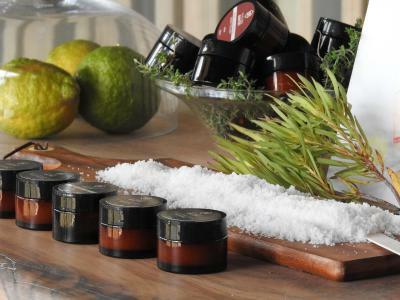 House Rules Garden Route Game Lodge takes special requests – add in the next step! Garden Route Game Lodge accepts these cards and reserves the right to temporarily hold an amount prior to arrival. Nothing really. Early morning and evening drives were cold at this time of year but that was our fault for not coming prepared. 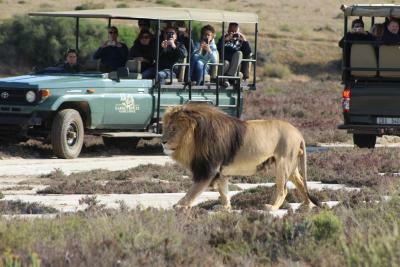 Brilliant game drives with knowledgable guides were the point of the visit. Good facilities, food and rooms were a bonus! Had to pay full price for my 15 y/o son. He slept in a different room without a connecting door. They could have given me a roll-away bed. Food was great. Comfortable mattresses. Wish the booking package was a little more flexible. For every night you book you always get 2 games drives included - evening and morning. We stayed 3 night so could have had 6. We only did 4 which was more than enough, so in effect paid for 2 games drives that we didn’t utilise. We knew that, but wanted to stay three night to enjoy the scenery and facilities - not just rush from game drive to game drive. So would have loved to have the option to specify how many game drives we want to do and not just pay for it by default. The location was stunning, games drives were great. Our guide Bronwin was very good and even took an extra shift to show us another part of the park. 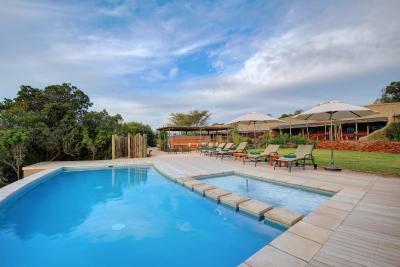 We stayed 3 night so had two afternoons to enjoy by the pool in between game drives. The pool, view and facilities were stunning and made it feel like a resort holiday. Also had a spa treatment which I thoroughly enjoyed. The refrigerator was not working in the room and a cockroach was crawling around inside. No face cloths. Pillows not good and had a smell to them. No news channels on the TV. Should at least have a South African one. Staff very friendly and accommodating. Activities well planned. Rooms much nicer than I expected. Gift shop has a good variety. Food good. Nice toiletries in the room. WiFi worked fast. This place is not a substitute for a real game reserve but offers a nice introduction to African wildlife for first timers, particularly children. Very family friendly. We had too little time for the wonderful pool..
A wonderful experience. Really good place with (small) kids. Safari was great with a really knowledgeable guide that was really nice for kids too (we had a family safari car). It was very relaxing and the accommodation was excellent. I would advise you to take a whole package which includes two game drive with evening and breakfast buffet meals. The game drive was excellent and last two hours long. It is a great location between CT and George for short break. It is a great way to end our excellent holiday in South Africa. We had 2 single beds so it would have been nicer when you've paid a lot of money to be there to be able to sleep in a double bed with your partner. Only complaint, rest was amazing!! The staff were amazing and the game drives were so fun - loved the midway drink stop on the evening drives!! Whilst set on reclaimed farm land (and so maybe not as wild as let’s say Kruger) this was everything I imagined it to be from a safari on a games reserve. Accommodation was plush and Infiniti pool a nice touch. The food was really good the best buffet food I have had in a long time. The safari itself was really incredible, the rangers were so knowledgable and informative-any animal/bird/plant around he knew so much about. We had a puncture on the morning game drive and we lost time as our guide tried to replace the wheel (in a safe area) but it would have been better and quicker to send out a replacement Jeep, which they eventually did. Our waterhole overlook chalet was small but perfectly formed (although you would need binoculars to see the 2 hippos in the waterhole). Lovely infinity pool for a swim and relax before we got active. The 2 game drives we did were good, although not all animals roam freely with each other (e.g. Lions and Elephants were in separate 'fields') we were very lucky to see a Cheetah take a Springbok on its 2nd attempt of the evening. Our young female guide Elonde was very knowledgable and enthusiastic which rubbed of on us on our jeep of 9 guests. Our 60x zoom camera came into its own as they can't take the Jeep too close to the animals. We got some great photos. The evening buffet meal and breakfast were of good standard and service. Its a nice play to stay even if you were not doing a game drive.